Not all groups in Steve Shields book should be considered denominations. 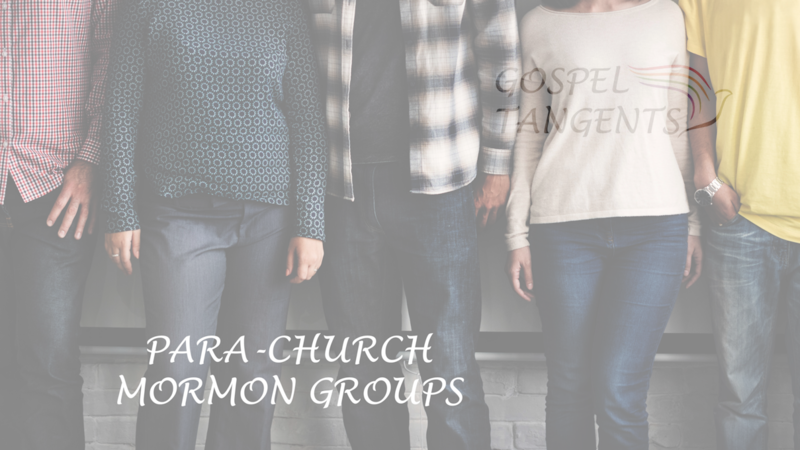 In our next conversation, we’ll talk about some of these subgroups with official endorsement of the LDS Church, such as Affirmation and the Genesis Group. Steve: Affirmation is a para-church organization. It provides a church-oriented fellowship for LGBTQ people who are not often welcomed in the standard ward and most of them are LDS folks in Affirmation. But, they’re providing a ministry that is, dare I say it? Tangential to the LDS Church. So, I consider that an expression. GT: Would it be like the Genesis Group? GT: Whereas the Genesis [Group] was [fully supported by the church], right? Steve: Yeah, they were. Right. GT: Just for people who may not know what Genesis Group is, I know we do. But can you describe Genesis Group? Steve: I probably don’t know very much about it. It was before blacks were allowed to be ordained and it was a ministry group for black LDS Church members, their families and friends. They could be members of the church and it was a support. It was supported by the church, mostly here in the Salt Lake area, I think. Darius Gray, who is well-known in Mormon thought circles, was one of the key people, as I remember. GT: Yeah, he was one of the original counselors and he went on to become President later. He’s a great guy. Steve: So that was an important ministry in the era of civil rights upset in the United States. Ultimately then in 1978, when full ordination was finally permitted for all. Steve Shields describes para-church Mormon groups. What is that?